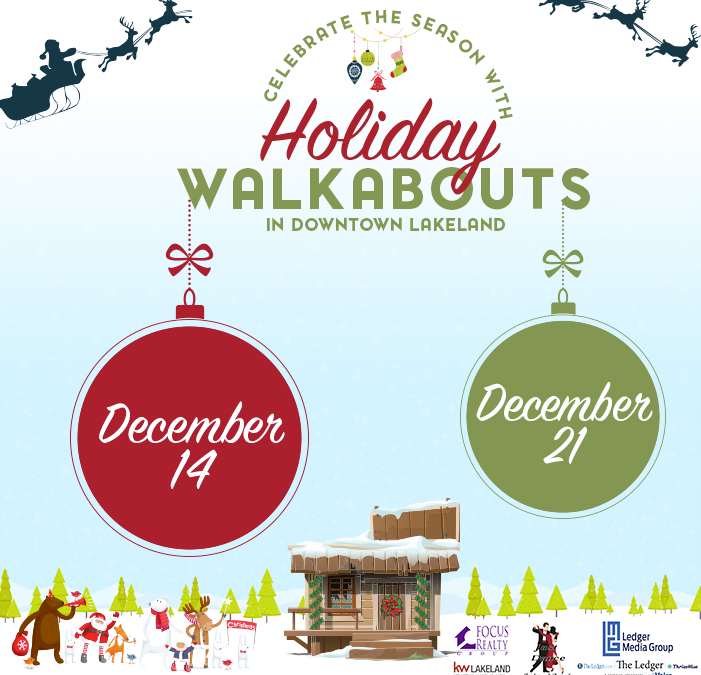 Friday, December 21, 2018 will be our “Holiday Walkabouts” from 6pm to 9pm. Stores and shops will be open late serving up yummy goodies (like cider and cookies) and special deals. Check out the traditional holiday lights decorating Munn Park. Take a horse-drawn wagon ride. Take a selfie with Elsa, The Gingerbread Man, or The Grinch (locations vary). Take a picture with Santa at Focus Realty on 218 E. Pine Street. Walk ins welcome, and no registration required. Photos are $3. Get your hair done like a “Who” from “Whoville” at Just Dance Academy on 124 S. Kentucky Ave for only $5! Post a selfie on Facebook or Instagram with #WhoHair. Six random winners will receive $25 gift cards to Downtown hair salons–Evolve Hair Studio, The Strand Salon, Liquid Hair Studio Inc., Studio 323, Salon Chateau, and Reborn Blowbar & Barber. Participate in an “Ugly Sweater Selfie” contest. On the night of the event, take a selfie wearing your best ugly sweater using the frame located at Top Buttons Boutique on 236 N. Kentucky Ave. Post your picture on Facebook or Instagram with #SweaterElfie. Six random winners will receive $25 gift cards to Downtown clothing stores: Urban Appeal, 5th & Hall, Nathan’s Men’s Store, Amelia Paige Boutique & Embroidery, Coppertree Boutique & Studio, and Top Buttons Boutique. Also, Top Buttons customers wearing an ugly Christmas sweater on December 21st will receive 10% off their purchase. 5th & Hall will have a special pop-up shop of graphic t-shirts from a local Lakeland artist. 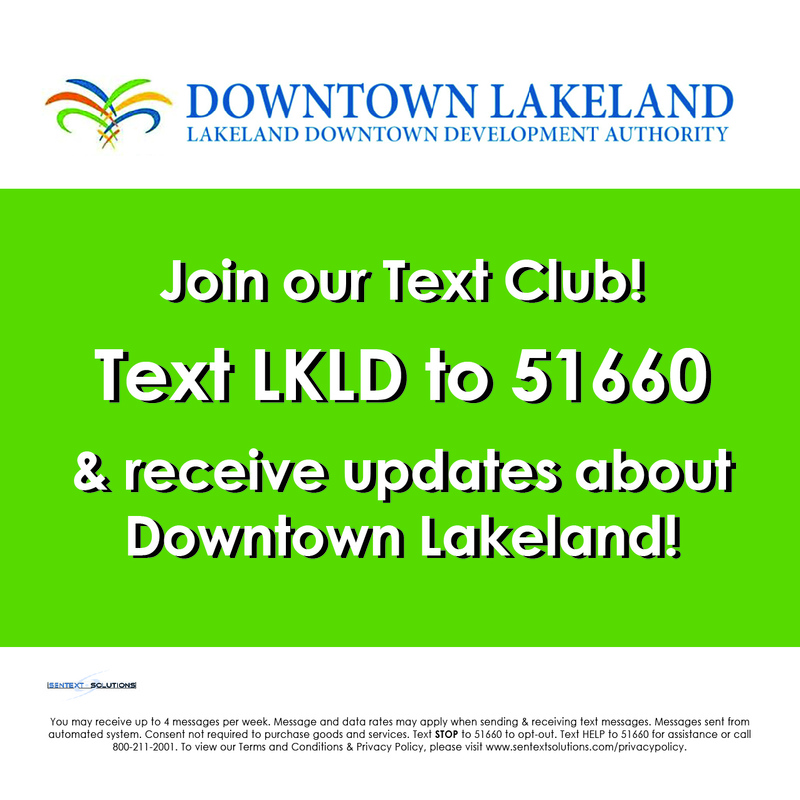 All exclusive to Lakeland. 20% off all sale items and free gift wrapping for all in-store purchases. Also serving holiday refreshments. Amelia Paige Boutique at 223 N. Kentucky Ave. is offering a free Christmas Ornament with a purchase of $50 while supplies last. Limit 1 per customer. The Cookie Pharmacy will also be set up in front of their store with yummy baked goods for sale. Cake Makers Studio Cake & Sweets at 115 S. Tennessee Ave. will have edible chocolate boxes for sale–stop by and pick up a yummy holiday gift! Escapology Lakeland at 210 E. Pine St. is offering 10% off gift cards. Federal Bar Lakeland at 124 S Tennessee Ave will have happy hour from 4-8pm–$3 wines, $3 Prosecco, and $3 drafts. Live music with Justin Grimes on December 14th and live music with The Detectives on December 21st. Gaines Jeweler at 112 S. Tennessee Ave. will be having a 12 Days of Christmas special. Check their Facebook page for details. Home Essentials at 325 N. Kentucky Ave. will be sampling sweet and savory dips. Gift Certificates available for purchase. Just Dance Academy at 124 S. Kentucky Ave. will have Santa with color photos for $3. They will also be playing a holiday movie and offering refreshments to enjoy while you wait. Lakeland Escape Room at 308 E. Pine St. is offering 10% off Gift Cards purchased in store! Deal ends when the store closes. Lakeland Loft at 108 S. Tennessee Ave. will have free samples of sangria for customers 21 and older. Receive 15% off your total check between 6pm and 9pm. Enjoy live jazz music from 9pm to 1am. Gift cards available for purchase. Lloyds of Lakeland at 301 N. Kentucky Ave. will be open late and serving light refreshments. My Cottage Garden at 327 N. Kentucky Ave. will be sampling teas. My Office & More at 122 E. Main St. will be hosting the Free Gingerbread Workshop, sponsored by La Imperial Bakery. Also, stop by and register for a chance to win a beautiful Gingerbread Creation by artist Luis Arias, owner of Cake Makers Studio. Scout & Tag at 244 N. Kentucky Ave. will have 25% off Mud Pie Christmas dishes. They will also be serving Christmas sangria. Stationery Loft & Gift Boutique at 230 N. Kentucky Ave. will have a special on Kendra Scott jewelry: Buy one necklace, Get one pair of earrings half-off. They will also be sampling toffee and hot chocolate. Also, 35% off 17-month agendas. Taco Bus at 126 S. Kentucky Ave. is under new ownership and offering free chips with purchase of a meal. Take Heart at 248 N. Kentucky Ave. will have a special deal–20% off one regular price item–and homemade cookies. The Chop Shop Bar & Grill at 118 S. Kentucky Ave. will have drink specials: Two-for-One Wines and Margaritas, $5 Mules, and $4 Craft Beers. Top Buttons Boutique and Designer Thrift will be hosting the Ugly Sweater Selfie contest on December 21, and anyone wearing an ugly sweater will receive 10% off their total purchase. Traditions Unlimited at 221 N. Kentucky Ave. will be offering yummy mulled cider samples. Urban Appeal at 123 S. Kentucky Ave. is offering 10% off everything. Want to know where everything’s happening? Pick up a flyer with a detailed map from participating merchants. You can also find them attached to A-Frame signs around Downtown on the night of the event.